Mountains are topographically complex formations that play a fundamental role in regional and continental-scale climates. They are also cradles to all major river systems and home to unique, and often highly biodiverse and threatened, ecosystems. But how do all these processes tie together to form the patterns of diversity we see today? 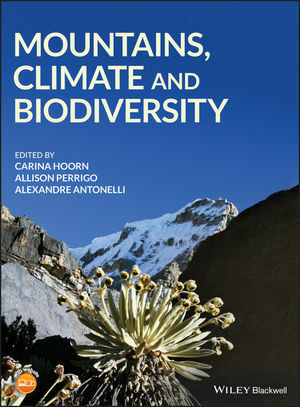 Written by leading researchers in the fields of geology, biology, climate, and geography, this book explores the relationship between mountain building and climate change, and how these processes shape biodiversity through time and space. Readership: Mountains, Climate and Biodiversity is intended for students and researchers in geosciences, biology and geography. It is specifically compiled for those who are interested in historical biogeography, biodiversity and conservation.